Fishing Choke Canyon, Falcon, Fayette County, LBJ and Travis. Fishing trips for Bass and Crappie Fishing on Canyon, LBJ, Dunlap, INKS, & Marble Falls. Email San Antonio's Premier Fishing Guide Service for Canyon Lake, Calaveras Lake and Braunig Lake Fishing. Let’s Go Fishing...The Fish Are Biting!!!! 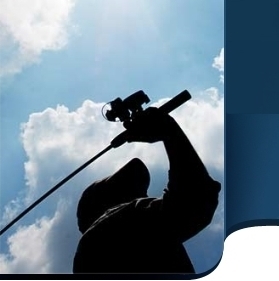 Each of the Lake Conroe Licensed professional fishing guides on this page is an independent business. Contact each guide to book your trip. 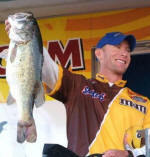 Fishing with a guide on Lake Conroe offers a unique opportunity to fish one of the most beautiful lakes in Texas. Fishing for catfish, hybrid/striper bass, crappie, black bass or bream. Licensed professional fishing guide for black bass, crappie, catfish, hybrid/stripped bass, white bass and bream. Fishing lakes like, Falcon Lake in Zapata, Choke Canyon in Three Rivers, Medina, Braunig & Calaveras lakes near San Antonio, Canyon Lake close to New Braunfels, Coletto Creek in Victoria. Email We are fully licensed and properly insured and I have been fishing the area since 1996. I specialize in artificial lures fishing for Stripers on Lake Texoma. Fishing for Striper, White Bass, Hybrid or the Crappie. Fishing Lake Richland Chambers for over 20 years. I have been fishing Lake Ray Hubbard, Tawakoni, Texoma, and Cedar Creek for over 20 years. Whether you are looking for Striper, White Bass, Hybrid or the occasional Crappie, we consistently catch more fish when the other folks go home hungry. We will be targeting Alligator Gar, as well as other Gar species (Spotted, Needle Nose and Short Nose), Catfish and a few other fish species.